Eric Bartelson is co-founder and former editor in chief of everything Control. 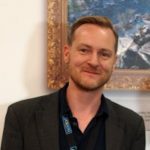 Prior to founding Control he was editor in chief of Dutch game magazine GameQuest, freelance games editor for Dutch newspaper Parool, and game scout for a large publisher. Not all at the same time though.